Ships tomorrow if you order in the next 23 hours 22 minutes. Auto Ship & Earn + 131 Points What's this? 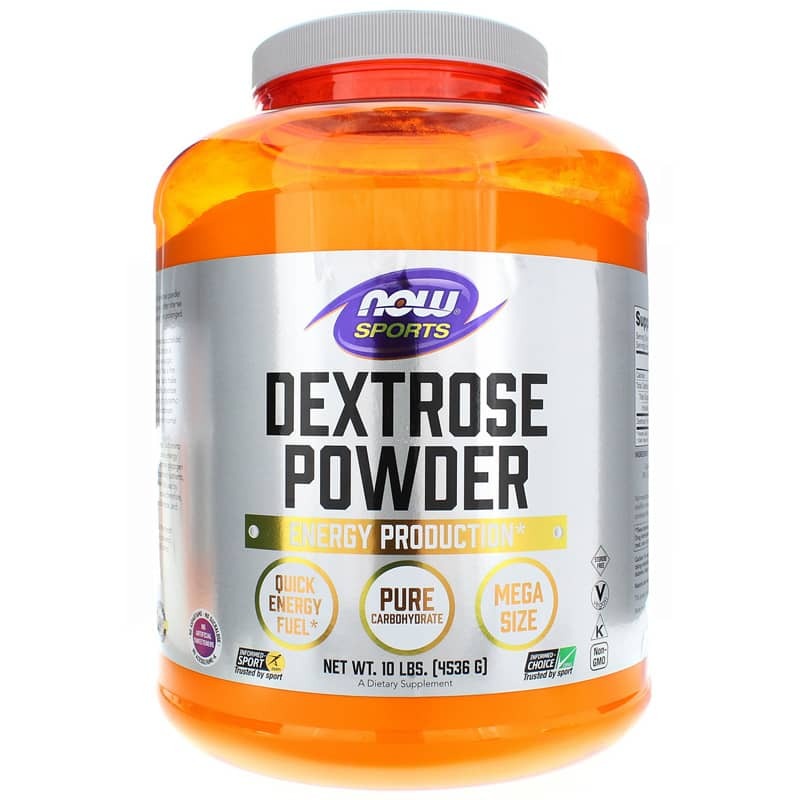 Dextrose Powder from NOW is 100% pure and is intended to help provide athletes with energy to athletes during and after workouts. 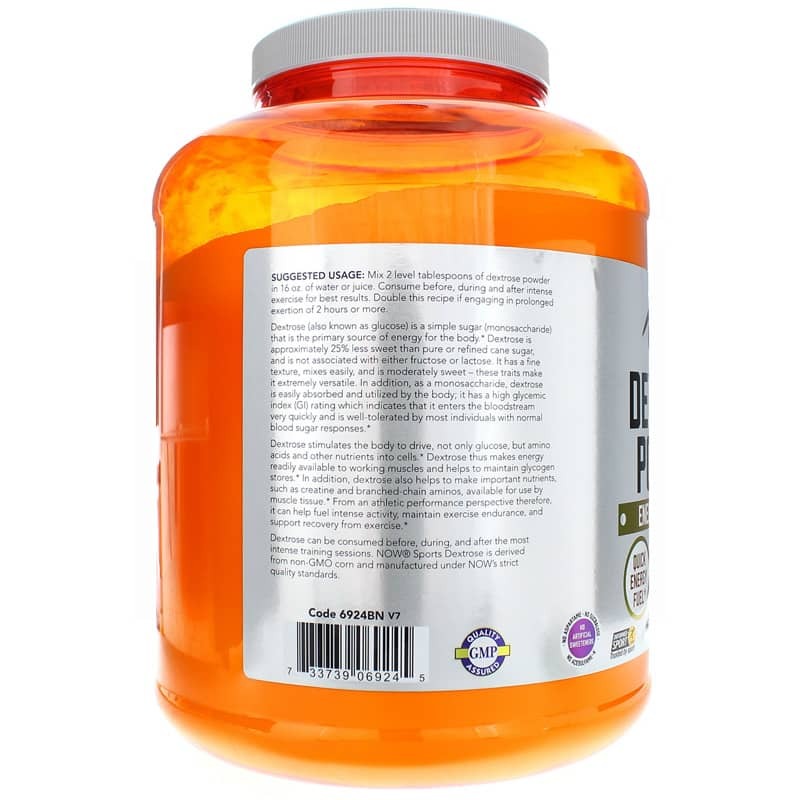 Dextrose is used by those in workout programs, especially by those who want to increase muscle mass, to help support insulin levels and repair and build muscle. Dextrose has a very high glycemic index (GI) rating, which helps to direct nutrients to muscle fibers. 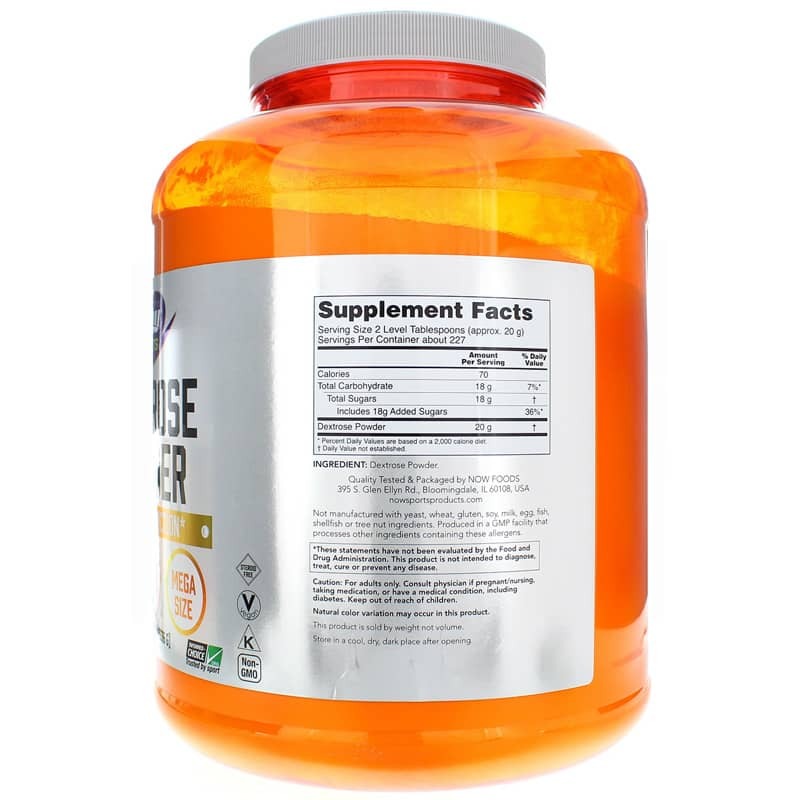 As a dietary supplement, adults may mix 2 level tablespoons of Dextrose Powder in 16 oz of water or juice. Consume before, during, and after intense exercise for best results. Double this recipe if engaging in prolonged exertion of two hours or more. Vegan. Kosher. Non-GMO. Steroid-free. Informed-Choice/Informed Sport. Not manufactured with: yeast, wheat, gluten, soy, milk, egg, fish, shellfish or tree nut ingredients. Produced in a GMP facility that processes other ingredients containing these allergens. Adults: Mix 2 level tablespoons of Dextrose Powder in 16 oz. of water or juice. Consume before, during and after intense exercise for best results. Double this recipe if engaging in prolonged exertion of 2 hours or more.